Just click on the picture to visit Julsbeads' site to enter! 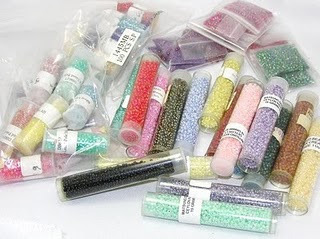 I am excited to be taking part in Lori Anderson's Bead Soup Blog Party (see the sidebar)...and am brewing some swap ideas of my own. Stay tuned. For now though I am getting my boy ready for his Cub Scout Klondike Derby taking place tomorrow. Am feeling happy that weather reports are saying we may get up to 40 degrees for this all-day outdoor event. I'm guessing that it won't be quite so warm at 7am tomorrow though! brrrrrrrrrrr..